The pacman frog (Ceratophryidae) is a fairly large frog from Southern America. Males grow to around 2.5-4 inches in length while females will grow from 4-7 inches. 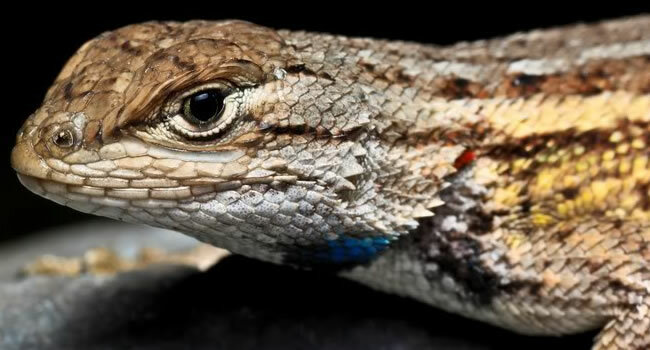 They tend to be vibrant green with brown speckling however albino specimens are now widely available and are bright yellow with orange markings. They are a great pet as they do not take much work to keep, their ideal temperature is 75-80F which many can achieve with a simple glass terrarium and a 3 or 4w heat mat. They will eat crickets a couple of times a week and when grown on they will eat one pinky mouse a week. 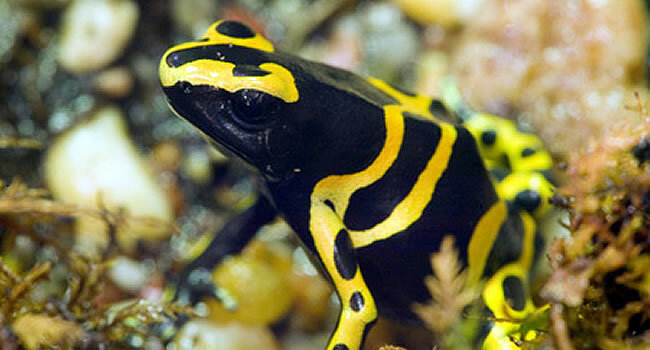 The yellow and black dart frog (Dendrobates leucomelas) also known as the yellow banded poison dart frog or the bumblebee frog is a small tropical frog from Southern America. 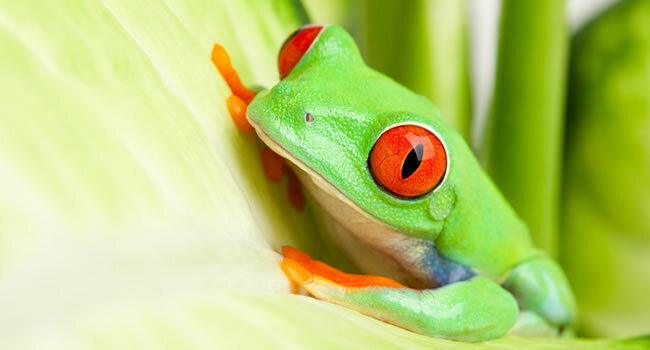 They live in very humid tropical rainforests in areas around Brazil and Venezuela. They to grow to 1.2-2 inches in length with females being slightly larger than males. 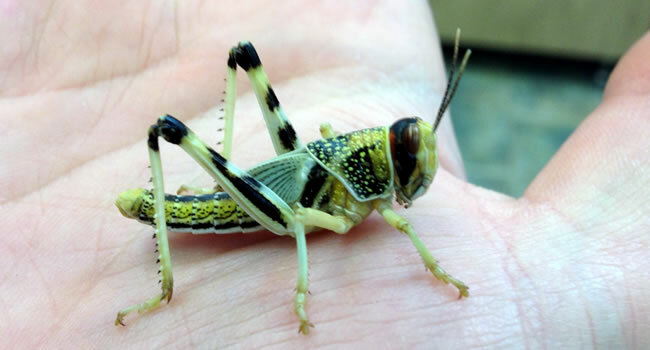 They are a great display pet due to their stunning colouration and how active they are. In captivity with the appropriate set up and diet you can expect to have your frog for 10-15 years. 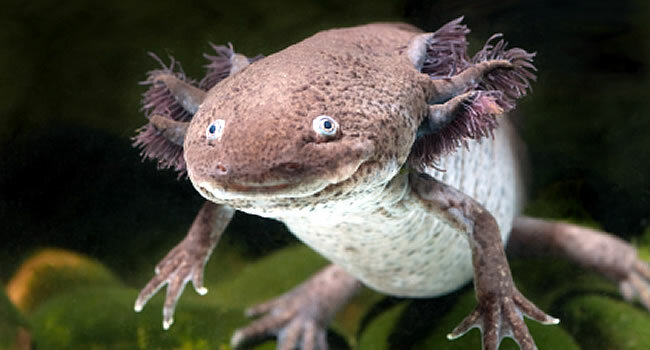 The Axolotl (Ambystoma mexicanum) is a strange amphibian in that it can reach adulthood without needing to metamorphosise. 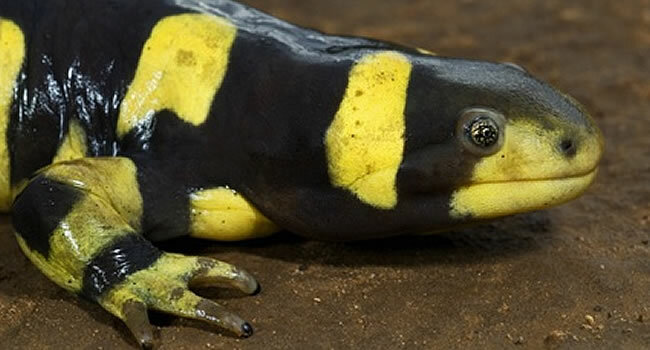 It is a species that originated in lakes in and around mexico and is related to the tiger salamander, unlike salamaders however they will retain their tail and live in the water. They are great display pets as they look very unique and will live happily in an aquarium. They tend to grow from 9-12 inches in length and are generally brown or grey in colour. 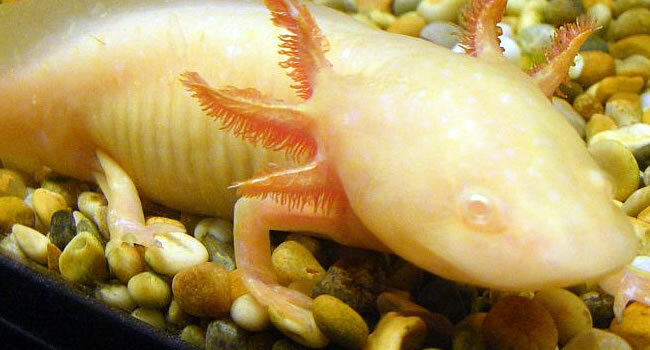 There are leucistic axolotls which are now common in the pet trade that are a pale pink colour with pink or red crests. The oriental fire-bellied toad (Bombina orientalis) is a small semi-auatic frog from areas in Korea and north eastern China. They are easily identified by their bright green colouration on the top side and the bright yellow/orange underbelly. They also have a pattern of black stripes and speckles which contrast the vibrant colours and make the animal even more stunning. They will only grow to around 2 inches and can be expected to live around 15 years with proper care. They can be kept in very humid and moist glass terrariums or shallow aquatic enclosures as long as they have a bank to allow the animal to leave the water. 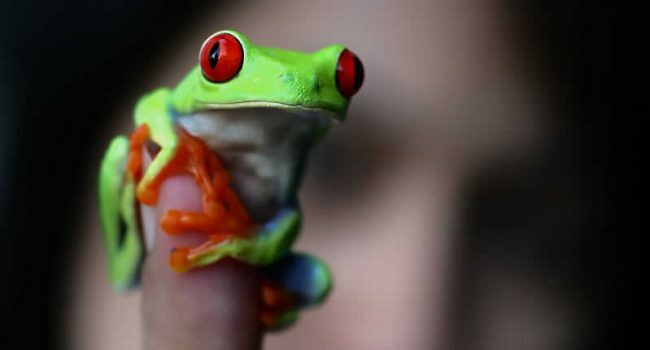 The red-eyed tree frog (Agalychnis callidryas) is an arboreal amphibian from rainforests in areas around Mexico, Columbia and Central America. 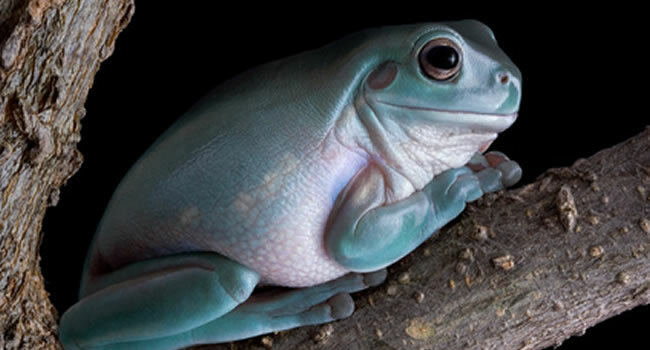 They are a vibrant green frog with bright blue accents on there legs and ribs and yellow bands running down the sides. They also have brilliant large red eyes with vertically narrowed pupils. 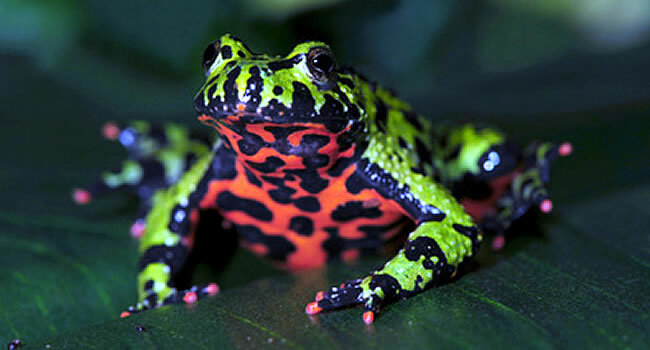 This frog is extremely colourful and would make a brilliant display pet. They will grow to 1.5-3 inches in length and can live up to 5 years in captivity. 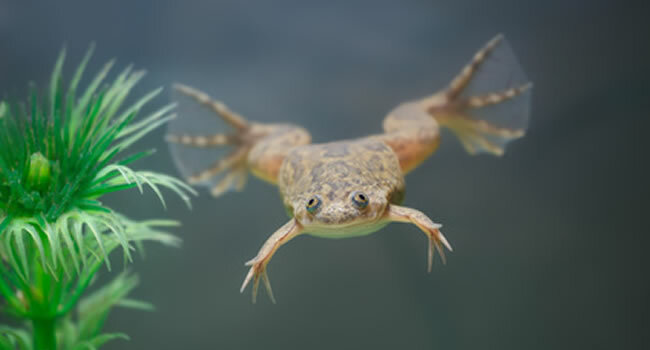 The xenopus clawed frog (Xenopus laevis) also known as the African clawed frog is a species that originates from sub-saharan Africa but has since been introduced to North America, South America and Europe. They are a toothless and tongueless and completely aquatic. This makes them a great addition to partially submerged or aquatic enclosures. There most prominent feature is the split in the webbing on their feet and hands which gives the appearance of large claws. 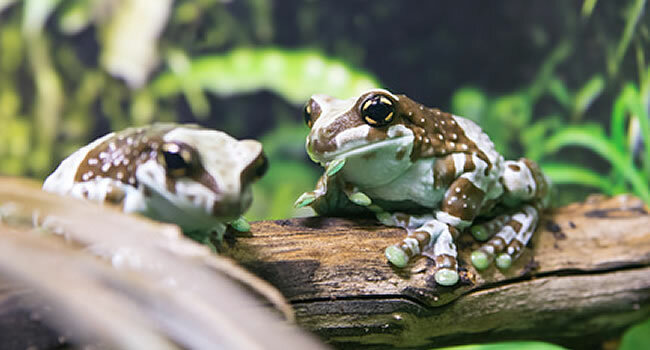 On average these frogs will grow to around 5 inches and live 10-15 years however there are recorded individuals which have lived up to 25 years. Budgett’s frogs (Lepidobatrachus laevis)Â also known as the Paraguay horned frog from areas in Southern America including Paraguay, Argentina, Brazil and Bolivia. They are generally a light olive green colour and can have some light grey and yellow mottling. They will grow to around 4-5 inches in length with females growing larger than males. They have a rounded flattened body with eyes quite high on their head giving them a strange shapeless appearance. They are highly intelligent but generally aggressive and are completely aquatic. 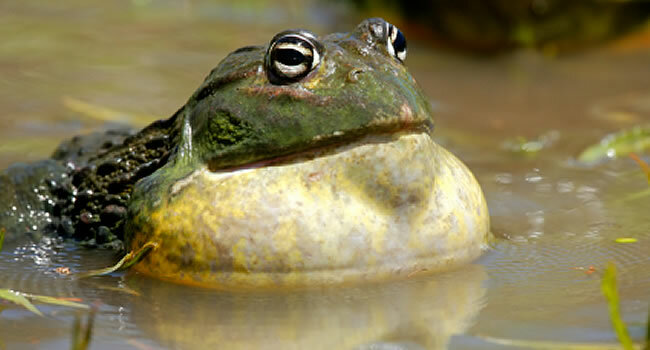 Pixie Frogs (Pyxicephalus) also commonly referred to as the African bull frog and is the largest frog commonly found in South Africa. 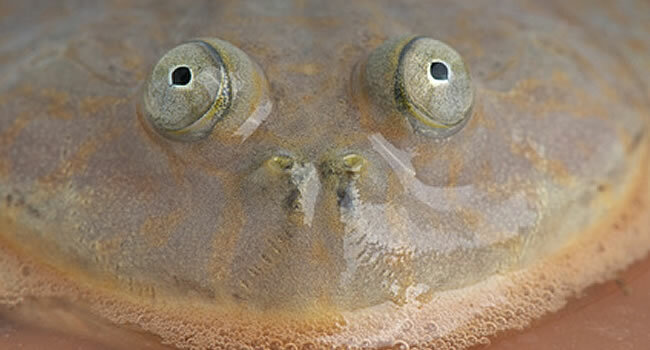 They live in open grassland and can be found in shallow ponds and puddles, during the dry season they create burrows and live mostly underground. 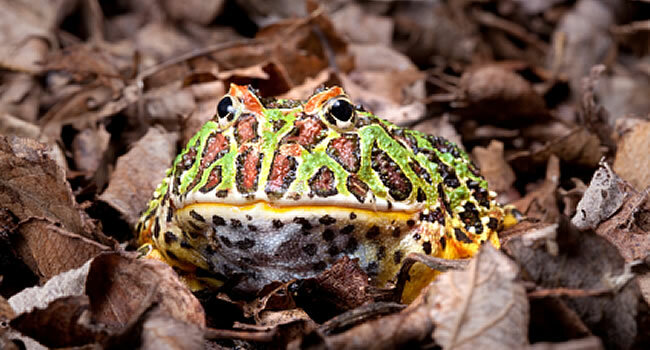 This frog will eat insects, fish, mice, lizards and other frogs. Almost anything that will fit into it’s massive mouth! They can grow from 4-10 inches in length with males being larger than females and can weigh up to 2kg. They are a dull green colour with yellow throats and a cream coloured underbelly. 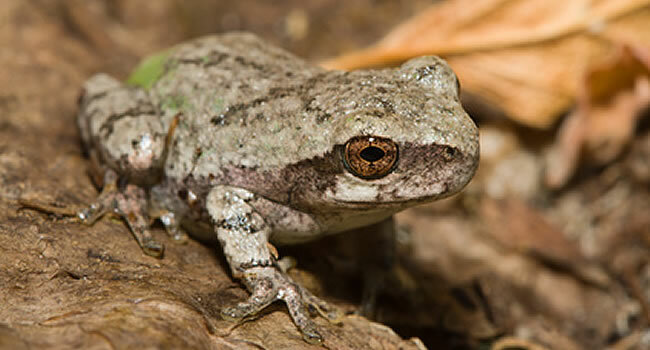 The gray tree (Hyla versicolor) are small arboreal amphibians native to the USA and south-eastern regions of Canada. Their best feature is that they can change their colour to a certain degree depending on their environment. 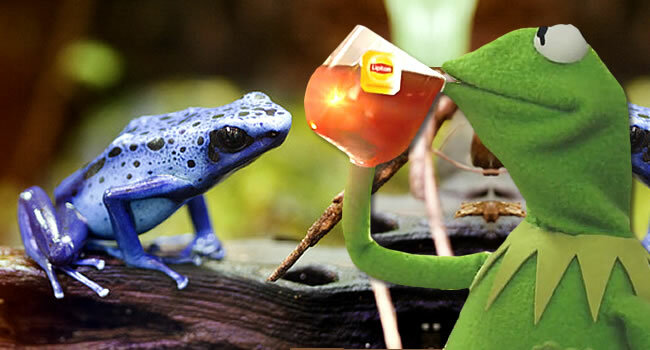 When threatened the frog will very slowly become lighter or darker in order to blend better with it’s environment. They can range from near black to almost pure white though they are usually predominantly grey. They are relatively small for American frogs growing to around 1.5-2 inches in length and can live for 5-10 years with proper care. The Amazon milk frog (Trachycephalus Resinfictrix) Also known as the Brazilian milk frog or the mission golden-eyed tree frog is a large arboreal amphibian from the Amazon rainforest and regions in South America. It was first discovered along the Maracana river in Brazil. 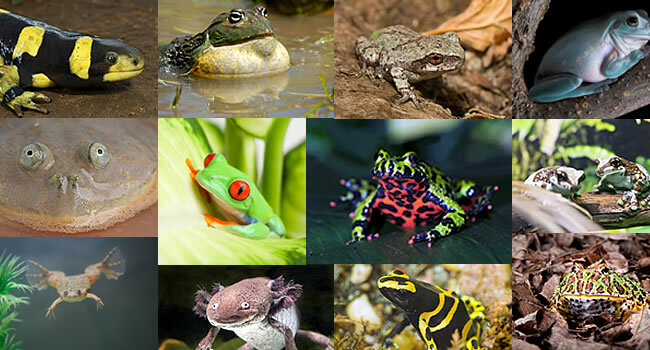 These frogs are quite large for arboreal species and can grow up to 4 inches in length. Adults are light grey in colour with brown or black banding. As they age the skin can develop a slightly bumpy texture. In captivity with proper care they can be expected to live 5-10 years. Whites tree frog (Lictoria caerulea) also commonly known as the Australian green tree frog is an arboreal amphibian native to Australia and New Zealand. Larger than most arboreal frogs this species can grow up to 4 inches in length and can live up to 15 years in captivity. Their size and longevity make them a great pet for first time keepers and children. Their colour can change depending on tempetature and their environment but they are generally range from greyish brown to emerald green. They can occasionally be found with small irregular white spots on it’s back. The tiger salamader (Ambystoma tigrinum) is a salamander endemic to North America. They are the largest land-dwelling salamader in the world growing on average between 6-8 inches with some recorded individuals reaching 14 inches in length! They are usually a blotchy grey, green or black colour with yellow bands or blotches along their back. 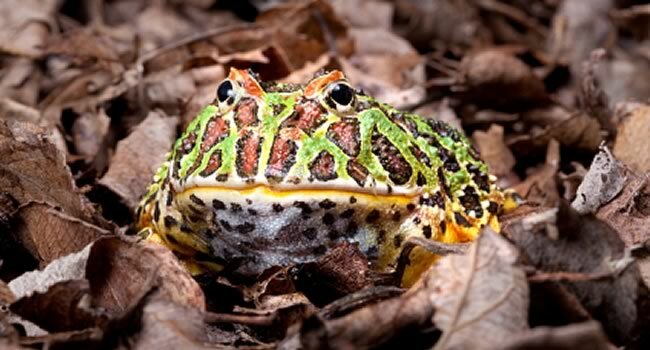 They are voracious predators emerging at night to feast on worms, insects, frogs and other salamanders. In captivity they can live for 10-15 years. Six strange animals, but which is the most unusual?